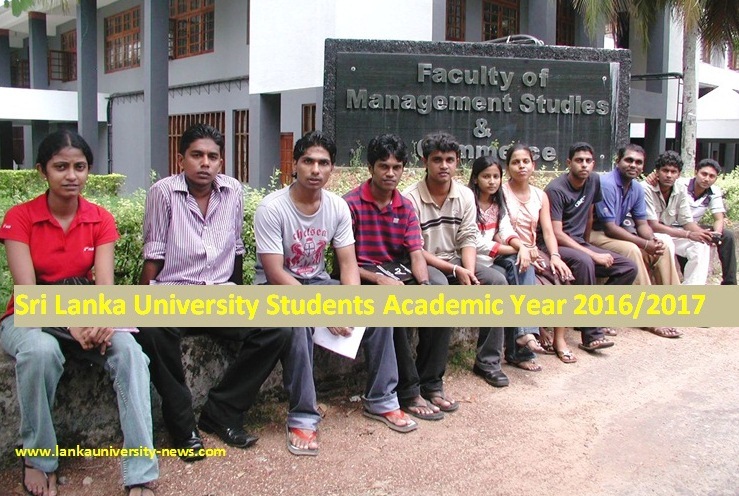 Much awaited University Admission Hand Book for the 2014/2015 Academic year will be released Today (May 7th) University Grants Commission sources said to “Lanka University News”. Students can buy the HandBook from Friday or from this weekend. Still the HandBook has not received for Book Shops. Hence make a Phone call & ask whether book has received or not before you go to buy the book. Students can send their Admission Forms Online through www.ugc.ac.lk website. 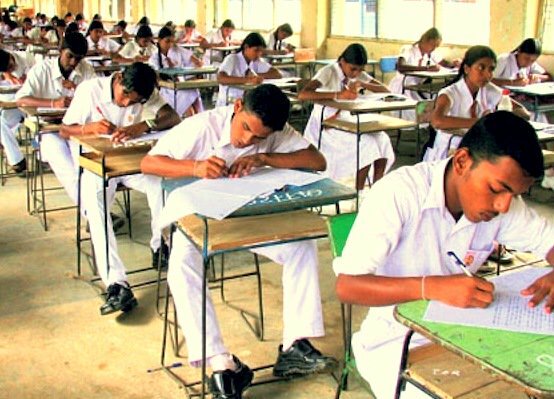 The Sri Lankan University Grants Commission (UGC) would call applications for the 2014/2015 Academic year university admissions based on the 2014 GCE A/L examination. UGC Hand book, a student guide that contains the application form will be available at major bookshops soon. 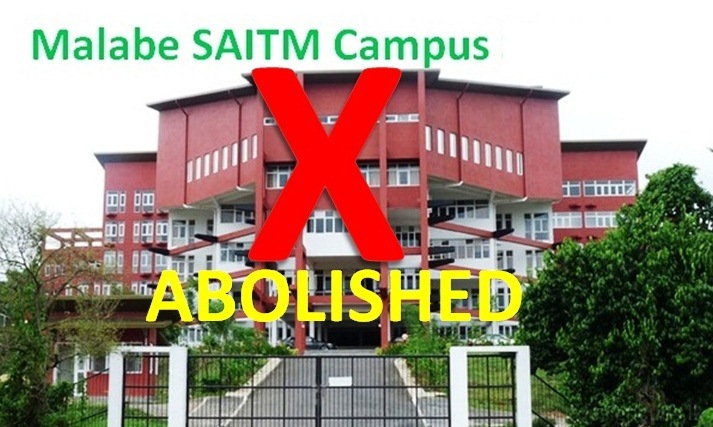 The Campus Application Form should be filled carefully and all courses that the candidate qualifies should be mentioned according to his or her preference and sent to the University Grants Commission. According to the sources, UGC have added several new courses to the new university entrance handbook. The admission of new students will take place in this year September or October. Around 25,000 students are to be admitted to the universities. The university Handbook delayed two months due to changes in the UGC & Ministry under the new government. 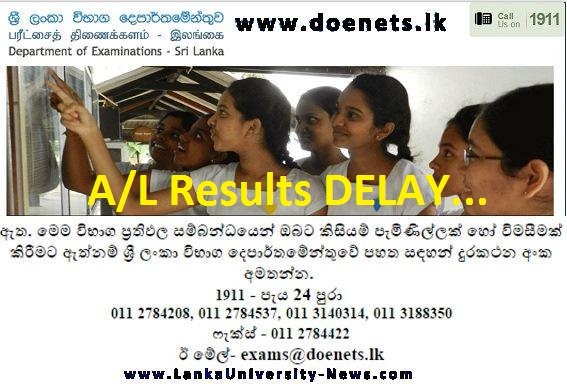 Aptitudes Tests details, Z score Cut Off MARKS release dates & University Leadership Training details will be informed near future via “Lanka University News” and national Newspapers & Electronic Media. When will the recorrection results release?? 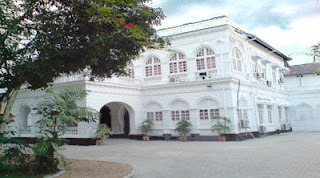 Thaama naha. Bt lagadima ei. Thawa tikak iwasanna me hitiya wage. Thawa dawas 2kin 3kin 4kin enna ona.... Nathnm kaale madine... so baya wenna deyak na. application daana ekata disturb nowenna e results enawa. Then how can we fill the form which is in hand book without our recorrection result? is it available to download online? not yet. but if u want to apply, u need to buy it. 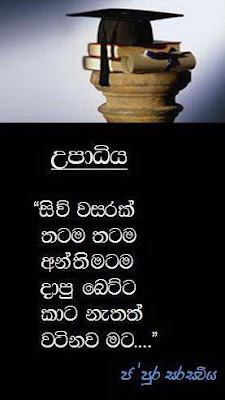 Ada book 1 ganna puluwanda colombo shops walin? Plz kiyannako. i prefer you 2nd one.food prodections studies field has so many demanded job oppotunities here and out of the country too. and its mostly growing field too. 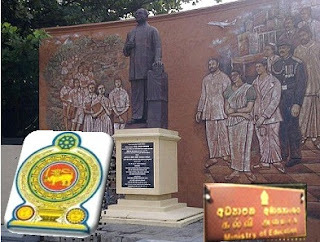 mama Kurunegala 487 mata bio yanna puluwan weida? Hand book eke thiyena application eka fill karala ewwath kisima prashnayak na neda? Online ma fill karana eka athyawashyama naha neda? Online kohomae e site wada krnwad? Anika etakota ape certificates yawanne kohomwda? UGC eken ahuwama qwa pothe tyena 1 purola ewanna puluwan kiyala. Application baraganna last day eka kawadada? 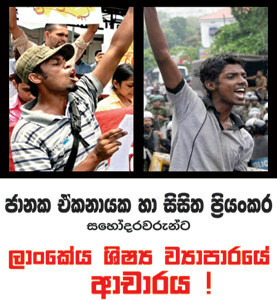 can anyone please tell me whether there is any difference between the law degree in peradeniya and colombo ?????? 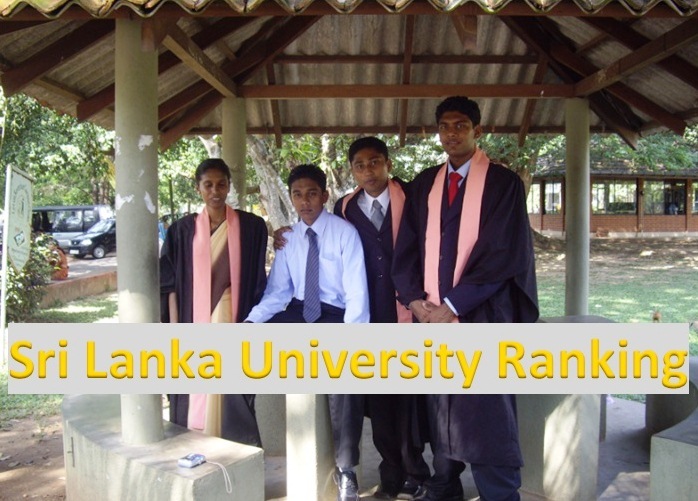 thats the best one.cuz colombo Uni law facutly is founderd before long ago. but pera Uni law faculty opend just before 2 or 3 years. My Z is 1.4571 ....i did commerce from colombo... what kind of courses and universities i can apply???? Ai ugc site eke online uni ap ekak tynne? Hand book eke ap eke signatures. Certificates ona ne. Bt online ap ekak y? Application eka On line eke witharatha ya wanna puluwan? Medical Faculties wala ranking blnna pulwn vidihk tienwd? 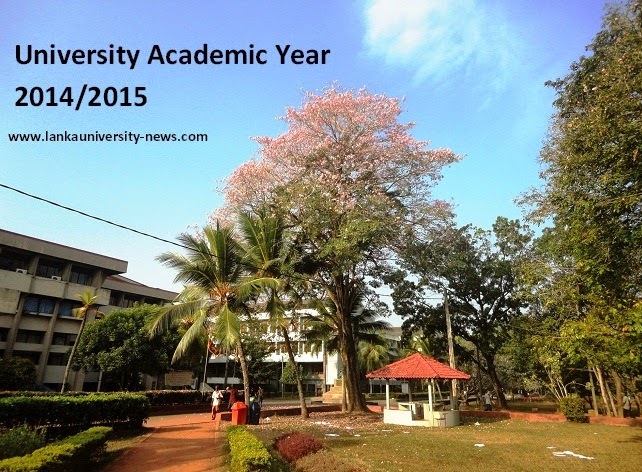 Do you know that how many students would get entrance to medical faculties from Galle? 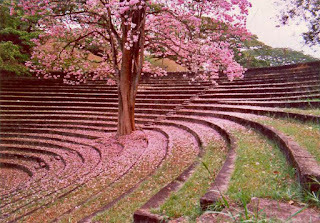 Oyata moleculer n bio chem side ekata special tellent ekak tyenam oya colombo uni bio yanna.eken bio dgre krna ayata marks anuwa molecular karanna denawa kiyala mata dena ganna labuna ehema natnam wayamba uni yanna. Handbook aka bookshops vlt awith da thiyenne? Awith thiyenne. bt potha aragannawa nm godaak hodai online daana ayath. Mona paththareda oya advertisement eka thiyenne ? recorrection result denne nadda ??? Handbook eke kyla tyna widiyata nic use krla xam lypu hamoma online application eka wtrada yawanna oni? Handbook eke tyna application deka fill krla yawanna barida? mulin ganna pdf eke printout ekai email eke ena pdf copy ekei dekema printout ganna onadaetakota mohoka barcode da kapanne. mn kipa sarayak UGC call karala ahuwa.eyala qwa pothe tiyena 1 purola ewwata kamak na kyala. ow eka atta.e nisa math call kala .UGC eken qwa athin purola ewannath puluwan qwa.mn pothe tiyena 1purola yawanwa. Boho durata teaching tama. Ntnm gst karala dgre ekak illana post walata ok reguwata ok. Bt ewai xm ekakin ganne i think . Kala guna widya deprtmnt me wage e kaleta gst kranwata. Bank unath ok .et xm pas wena . Intev pas wenna ona . Kauruhri knk kiyannko hariytama api university apply karanne khmada kiyala? Ded line kawadada? Plz! Online apply karala itapasse post karannath onida? Nathnm post or online apply da? Post karanna ona. Ekedi mulin ganna pdf ekei. Email ekata ena copy pdf ekenui 2n mohoka bar code da kapanne? online apply karala eke pdf eka print karala eka tamai post karanna oni. kagenda call karala ahuwe ? mn UGC eken ahuwama qwa pothe tiyena 1 purola ewwata kamak na kiyala. mn me dan UGC call kala.eyalata danatamath athin puropu ewa awith tyenawa qwa.athin purola ewana 1 prashnayak na kuwa.apita kamsthi nm athin purola ewanna qwa.krama 2ma ok lu. 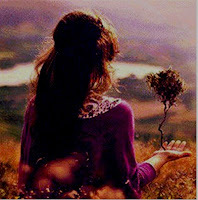 and where can i buy the book in kandy?????? You should fill the application which is in UGC website.Not the application in handbook.It's necessary.If you want to know exactly call 1919. Why is that?Is it really true?????????? mudritha ayadum patha kiyanne mokakda?api mudranaya karanna kiyala ebuwama ena printout da?etakota email ekata ena pdf copy ekat print karanna onada?e email eke pdf copy eke bar code kapalada certificate wala alawwnne natnm api mulin print karapu ayadumpathe bar code kapala email eke pdf copy ekai. Certificte yawannada . Pdf file eka laser printer eken dha ganna oni? moratuwa fashion designing & product development 034 & designing 024 Course 2 wenaskam mnwda? ewaye minimum Z score keyak withara wenawada? athin liyala application eka hari nathnm online application eka hari me deken kamathi ekakin register wenna puluwanda? athin liyana eka yawanawanm eth UGC eke user kenek widiyta register wenna oneda? Oyata internet facility thiyenva nm online regi. Venna. Nethnam handbk ake application aka fill karala yawanna. A 2n 1k kalama athi dr..
mata internet tiyenwa eth mata eka patalili sahagathai athin liyna eka liyala yawanwa dr.mama athin liynana eka yawanawanm user kenek widiyata register wenna one naa neda? internet wade confuce,mn UGC call karals ahuwa.eyala qwa kamathi nm pothe tyena 1 purawala ewanna kyala. athin liyala application danawanm user kenek widiyta register wenna one na neda? Ou eka nm aththa. Dushkara pathi wala lamainta godak amarui me wade. Eyala tikak hithanna oni me de karanna kalin. Ekki eyala news waltawth kyla thiyenna oni aniwaren online apply karanna kiyala. Me gana danimak nathi lamai godak pau. Mn o/l ceti illana courses wlta apply kranne na dr e nisa mama application ekai,data sheet ekai,post crd ekai university book 1 gathdi hambawna envilope eke dala yawwama hri nda?? If we fill the online application then a PDF file will download..
What are the items in the PDF file? my pdf file has 8 pages.I think that is only if we do not attach any other documents. Ok oya email ekata awa pdf copy ekath print karada eke bar cide da kapala alawanna ona api certificates ywnwa nm? Oya print kre a4 size kola wala thani paththeda? UGC eke user kenek hatiyata register wela online apply nokara post kaloth application cancel wenawada? private candidate should be sent birth certificate , a/l ,o/l result sheet? I think al result sheet n birth crtifcts ar nt necsry . Colombo campuse eke b com thiyenwd? Re correction result enne kawadda??? Re correction result nathuwa application yawanna bane plz help me kawadda result enne??? Oya apply krana dgree walata ol aub grade illanawa nam ol certi yawanna ona. Oya skul candidate nam echchari. 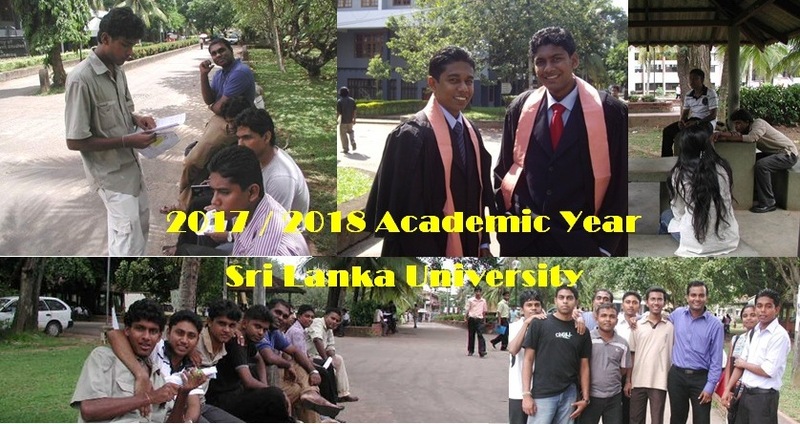 bio streem kurunegala district 495 z score 1.0642 what is the course, i will be selected? May 19 kiyala kiwwe. Mama call karala ahuwa. Dan hamotama prashnayak online da? Pothe 1 da kiyala..e krama 2ma ok ! Mn ahuwama eyala eka wagakimen kuwa.& katakatha walata rawatenna epa prob 1 k awoth UGC Call karanna. call karama ahannepa apply karanna one online da kyala.mokada e krame eyalata lesi nisa "OWW" kyanawa.e nisa krama 2 ganama ahanna. Puluwan nm online yawanna.eka wadi amaruwak na.barima nm itin pothe 1 aulak na.oyath UGC call karala balanna...hoyala balala karanna. 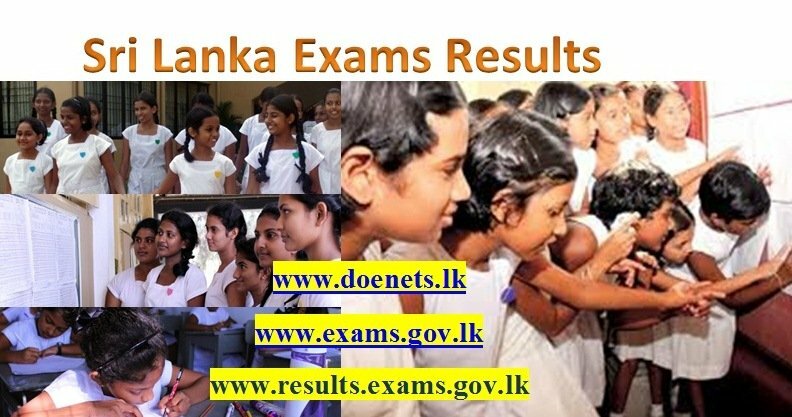 Mama examination department ekata call karala ahuwa kawadda recorrection result denne kiyala. Eyala kiyanne may 19 recorrection result denawa kiyala. danna aya kiyannako mekata yanna puluwan hoama courses order ekata...z eka wai unata samahara courses walata job nane..
private dana ayagen election office eken gatta methiwarana nama lekanaye mul pitapath gattu aya innwada?eka ntwa campus pothe application eka yawanna beida? mn ugc chairmangen ahuwa,sir kwwa eka nati unata application eka reject karan na kiyala.eka ona unoth agolla passe election office ekata kiyala pitapath illagannwa kiyala kwwa.grama sewaka sahatiketh ati kwwa. thank u very much reply karapu hamotama. may God bless u all. well yes. who's gonna be responsible? but same thing was told to me by the colombo district election office. they said that the ugc will apply for these documents after we got selected to uni. me deken godakma hoda mokaktha??? Thank u very much. IT jobs salary hodaitha???? Thank u very much for ur response. Galle Maths walin Z eka 1.2471 yanna puluwan hoda courses mnwda? Physicl colmbo puluwan nam hodai. Apeal ekak dawot clombo yna pyluwan wei. ntnm moratuwe fashn desng hodai. Test ekn gnne. Informtn systms ucsc hodai.ekat test ekn gnne. Pasal ayadumkaruwan & o/l result illanne nati coz apply karana aya application 1 samaga wenath documents mokuth yawanna one na neda ? E nisa e aya barcode kapala alawanna wennet na neda ? 1.6821 colmbo dstric. Mata aniva colmbo bio hambeida ? 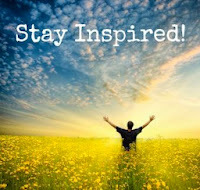 Please reply me frnds ! thanx ! But not sure da ? mama 2shy maths 2011 wala kere 2014 wala 3shy uni apply kerana eka awlak nane. 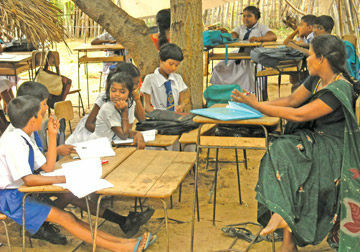 Managment valata danakota (pasal ayadum karuwo) o/level result sheet ekee pitapathak yawanna one na neda? 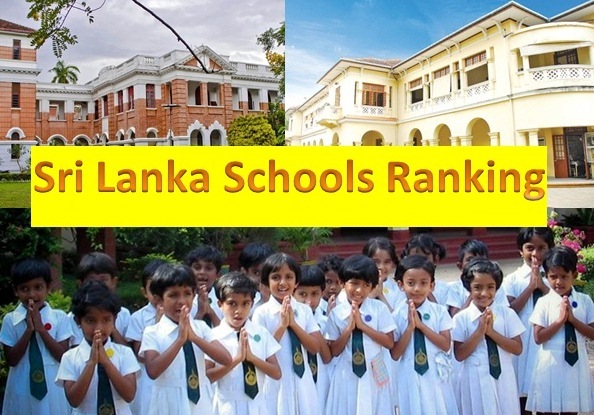 mage z eka 1.65(Colombo) distric rank eka 444 island rank eka 2145 ....mama maths karee mata computer science colombo puluwan weida??? Kattiya surveying apply karanna eka dan niyamai. RICS hambela out weddima chartered surveyor kenek wenna puluwa. mata eke inna lecturer kenek kiww . Mama original certificates application ekath ekka submit karala campus select une nathi unoth ewa aye ganne kohomada kiyala dannawada ? Re correction results ennae kawadatha? kiyatada enne re correction results?? ?ada enawada?? ?